To show our appreciation to every Nigerian who has used Oral-B in the past 5 years, we will be rewarding every purchase of Oral-B toothpaste between now and December 10, 2016, with amazing daily, weekly and monthly prizes. Here's the fun part, winning one of these fantastic prizes is very easy. Simply text the code at the bottom of any Oral-B toothpaste <space> Name <space> Location to 20388 to be one of our lucky winners. 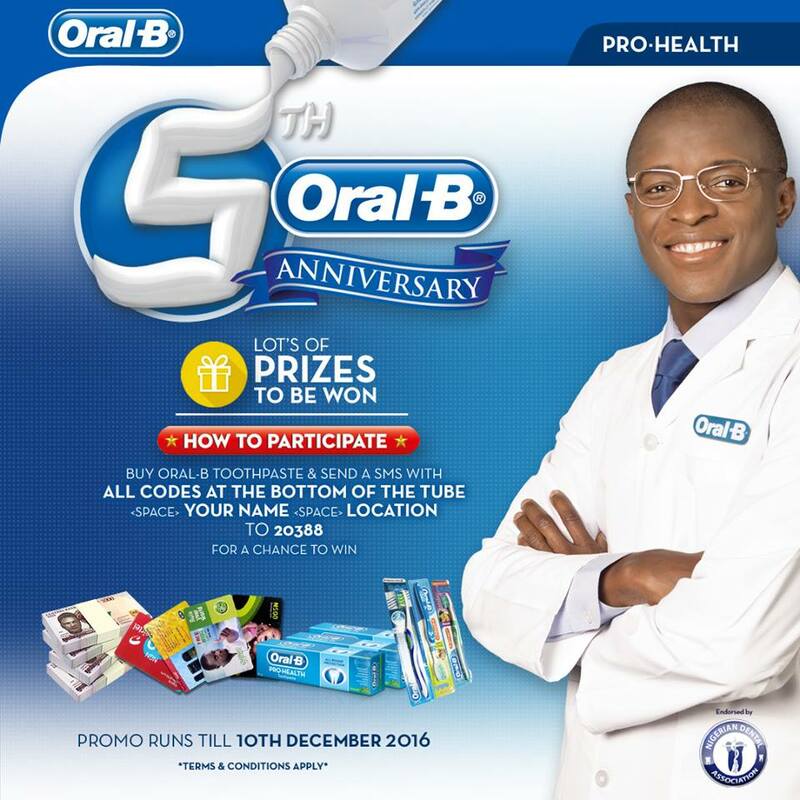 Monthly grand prize of N200, 000 + one mixed case of Oral-B products for 2 people . Spread the fun by sharing with your friends.